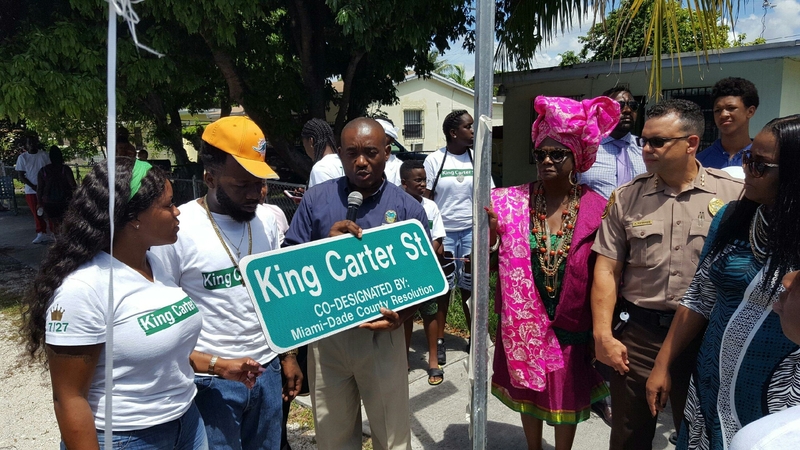 School Board Member Dr. Dorothy Bendross-Mindingall (D-2) attended the Street Designation Ceremony sponsored by County Commissioner Jean Monestime for the late King Carter. On what would have been his 8th birthday, we joined the parents, Santonio and Monica, family, friends, and community to celebrate his short life. We must continue to work together to stop gun violence towards our precious children. Posted on July 27, 2017 by District 2 MDCPSPosted in Community EventsTagged #SaveOurChildren #StopGunViolence #KingCarter #District2WorkingForYou #MDCPS #VanEBlanton.